For the people of Zurich, Switzerland, rainy and grey days are certainly nothing out of the ordinary, but this doesn’t mean residents enjoy them any more than the rest of us. Thankfully, due to a recent experiential marketing campaign that took place in Europaallee shopping centre, locals’ days were injected with some much-needed sunshine. 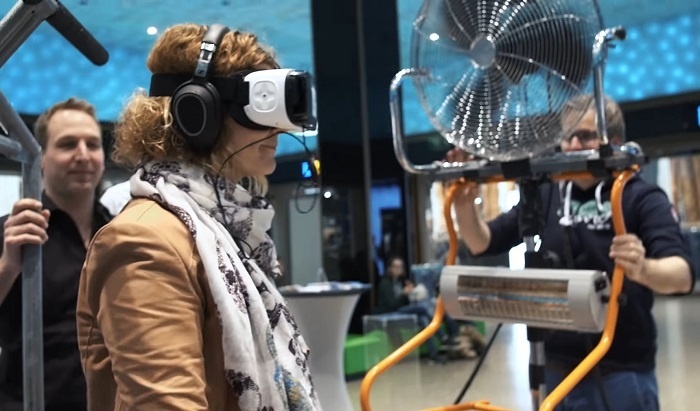 Ski resort Davos Klosters used immersive virtual reality to deliver the sounds, smells and most importantly the feeling of sunshine found way up high in the mountains to those passing through the shopping outlet. Passersby were invited to sit on a make-shift ski lift and were given a VR headset – transporting them to a location of a much more desirable climate, with truly epic views. The 360˚ video content took participants on a virtual journey through the picturesque mountains of the resort, with former Miss Switzerland Dominique Rinderknecht acting as the tour guide. In order to stimulate all of the senses and bring the activation to life, a fan was used to create the feeling of wind, a heater replicated the warmth of sun and fondue was made to give off a distinctive aroma that many would associate with being on the slopes. 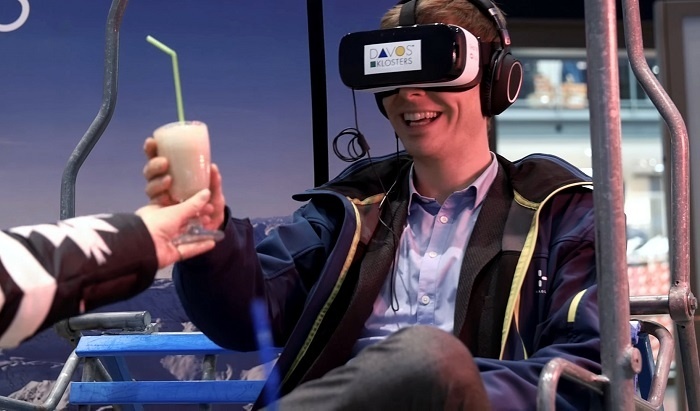 Seamlessly blending the virtual stunt into the real world, when partakers took off the VR goggles, they were greeted by Dominique Rinderknecht in real-life and handed a complimentary drink. Virtual reality is the perfect way for a brand to show an audience what it is like to experience a destination or brand in vivid colour. With the addition of stimulating all the senses, Davos Klosters took this to new heights, allowing its audience to completely transport their minds to the resort while leaving their body behind in the dreary city. For more inspiration of how VR can be used to transport an audience to another destination, take a look at when Old Irish took participants on an amusing journey to Ireland, or check out our multi-sensory VR roadshow for Boursin.